Left to right: Christina's Powell, high school flute, beginner flute. From her beginning days through the present, Christina has had a total of four flutes. In addition to her administrative responsibilities at Powell, she is also a professional performer and educator. Her first flute was a popular closed hole, C foot, student model. 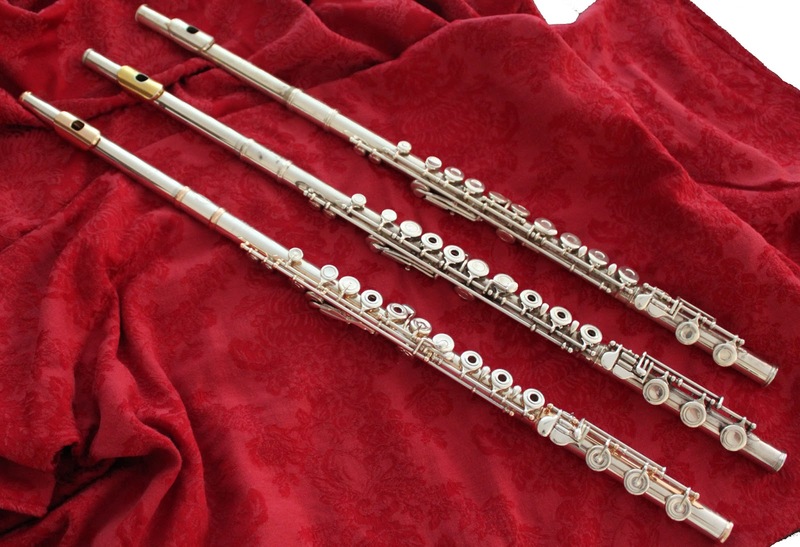 It served her well in the formative years, and when she began high school, she progressed on to another flute – this one being a popular step-up flute with open holes and a B foot. She continued on with her studies, majoring in flute in college. 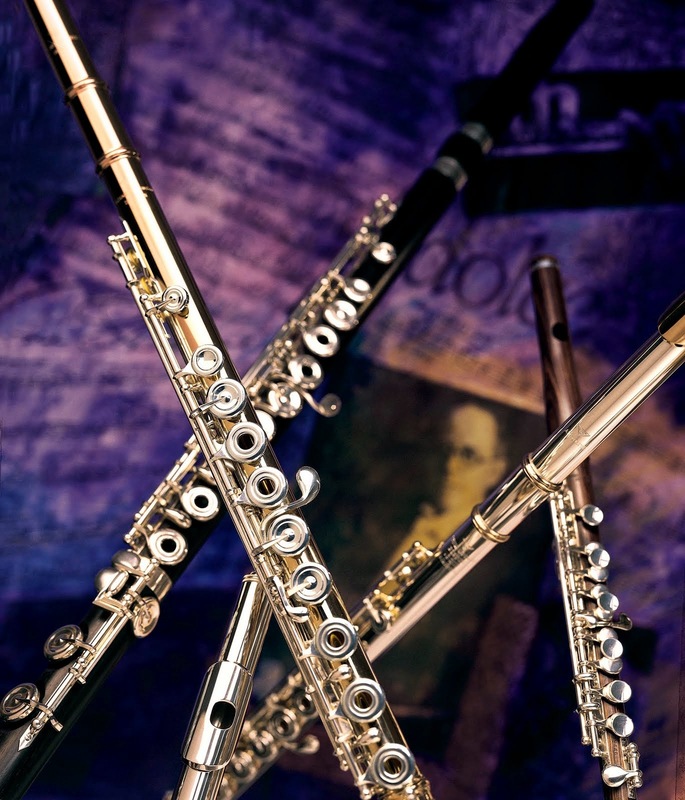 In her second year of college, she purchased a pro flute with a solid silver headjoint, solid silver body, and drawn tone holes. The very next year, she purchased an additional professional, custom headjoint for this flute. I had a student who came to study with me after having played for three years. After her second or third lesson, I felt that she could not continue to play on her closed hole, C foot flute, because it was really holding her back. You could hear that she had much more air than the flute could hold and was advancing quickly. There were 16 flute players in her school, and she was 14th chair. She went with her parents and bought a new solid silver flute with open holes and a B foot. She instantly sounded better without having to use more air. She went back to school with the new flute and moved up to 2nd chair. Open hole flutes with a B foot are important when stepping up from a beginner model, but material is important as well. The material of the flute needs to be firm and solid enough to hold the air that an advancing player can put through it. Eventually, when one goes to a fully professional model like a Powell, you have many choices on customizing the material for multiple parts of the flute – not just the body and headjoint, but tone holes, ribs, posts, and rings as well. You can also customize the material for the lip plate and riser of the headjoint. So, there are certainly no “correct” number of flutes to own as one progresses from a beginner to a pro, and the specs will differ based on many factors, including a family’s budget and the popular question of “will my child continue on with the flute?” What is most important to remember is that the right flute at the right time will certainly make a difference. By the time one chooses a custom, professional flute, no two flutes (like no two flutists) are the same. The flute should always be comfortable for you so that you can enjoy many years of healthy, happy music making!